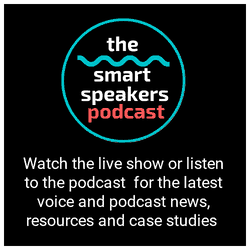 Have you ever wondered how people are live streaming pre-recorded content? It may be that they are using tools such as Wirecast, vMix or BlueJeans (the latter two are tools I use for live streaming). 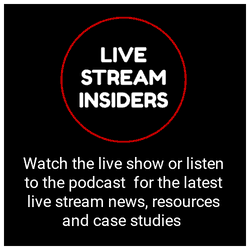 I recently noticed a new feature had been added to a live stream tool I occasionally use that works in your browser and allows you to live stream pre-recorded content it is brought to you byRestream. I took the opportunity to test it out this week and it is certainly a tool you might want to consider using for streaming pre-recorded content. Read on for a tutorial on how to get started. You need to create a free account on Restream.io to use Scheduler – both have paid subscriptions, but to test you are fine with both free accounts, dependent on where you want to stream to. 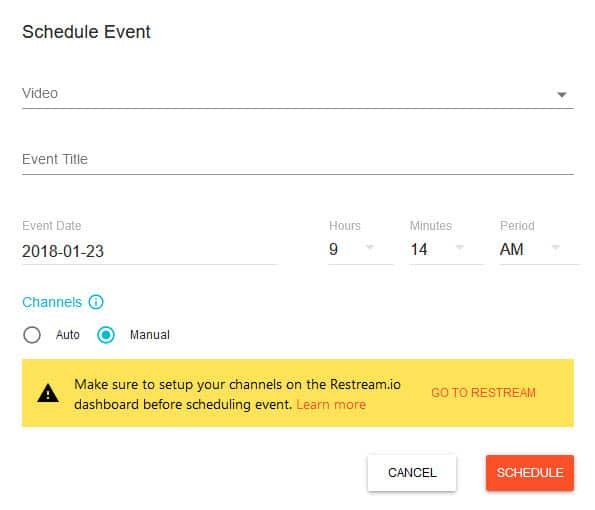 When logged into Restream, you will need to navigate to Scheduler and upload your video that you want to live stream. There is a demo video already there in the library for you to test with if you do not have any video to hand to test with. Once you have uploaded the video you then need to schedule your live stream – you will have the option to select the video you want to use from the drop down. You then need to add your event title – dependent on where you are streaming to you might want to use @ mentions and hashtags in the title and also check the length of your title works and does not get cut off. There is no character count on titles which would be a handy feature especially for YouTube and Periscope live streams. You then need to set the date ad time for your live stream and select the channels you want to stream to. 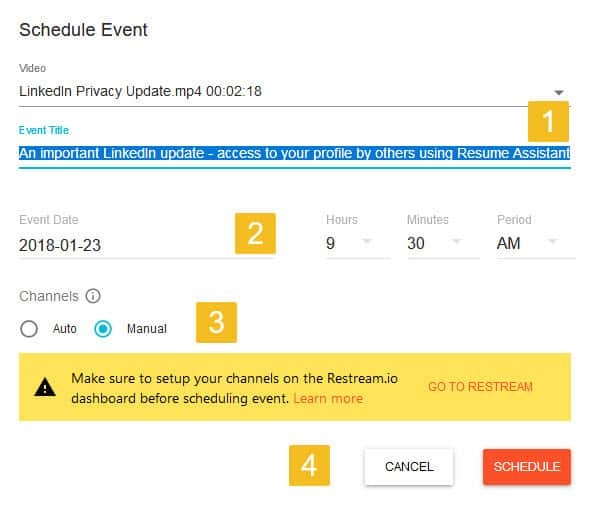 The live stream can go to all the accounts you have connected to your Restream account (though there will be a maximum number of channels based on the level of your plan for Restream Scheduler. I chose the manual feature as I did not want to stream to all the accounts connected to my Restream account. I decided to turn off live streaming the recorded video to YouTube and only test streaming to Periscope – see below a screenshot from my Restream dashboard where I allowed access to only Periscope. Once the channels have been selected you can then schedule your live stream. You will see your scheduled events in the event tab and also set up more scheduled events. If you want to change the destination of your live stream each time, you will need to wait to schedule as I don’t see a way that each scheduled live stream remembers which platforms to stream to – you can however prepare your videos in advance and upload them to the library. A feature I liked in the the scheduled area is that there is a countdown timer so you can see how long it is before your stream is live. As I was streaming to Periscope, I took the opportunity to check the live stream on desktop and mobile. 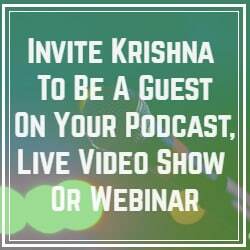 If you are not able to do this live you will miss the comments and interactions from people which is important – a great FREE feature you can use from Restream is their free webchat. You can open the chat after your stream has gone live and all your channels will instantly connect and you will see the comments. Note that you can not write your own comments through the app. 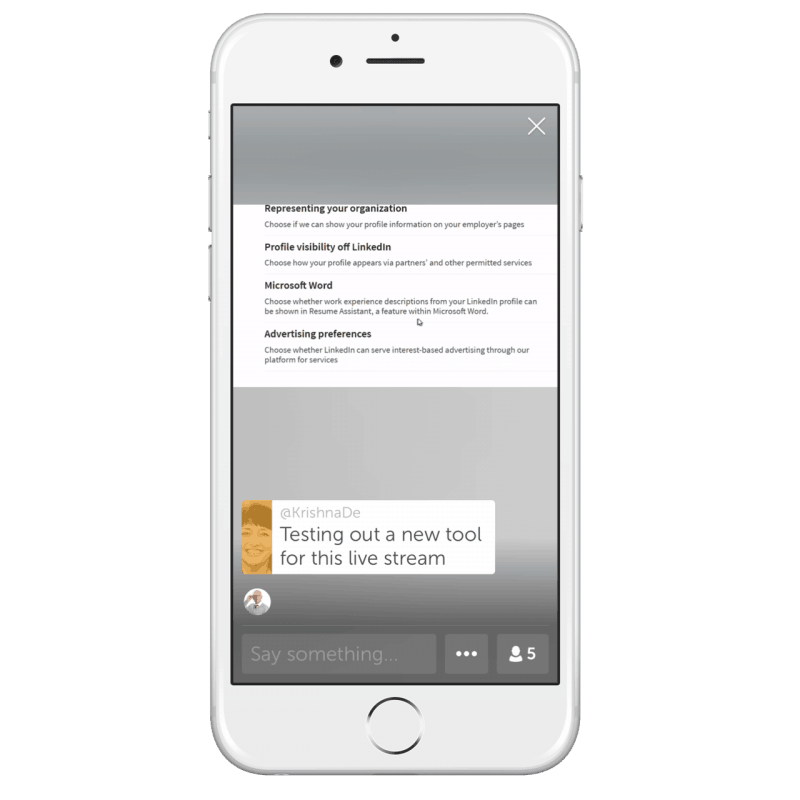 In the screenshot below you will see the Periscope replay – you can see I commented in real time using the Periscope mobile app. Once the live stream has finished you will see the history of your stream in your dahsboard. 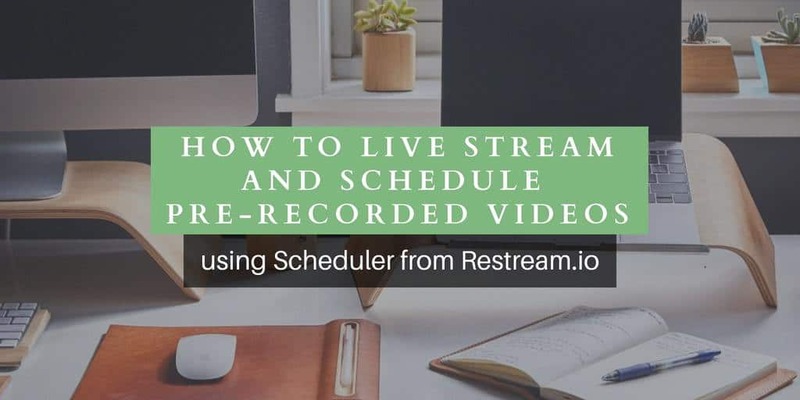 Restream Scheduler has a generous 30 minutes for streaming recorded video and you can store up to 2 videos at no cost. 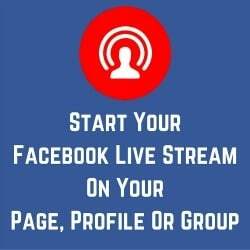 Note that if you want to stream to Facebook Live you will need to use a paid plan on Restream – Periscope and YouTube plus many other live stream platforms are however free to use. 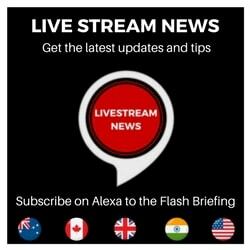 If you want to livestream pre-recorded content and want to be able to do so easily without having to set up your live stream software, I definitely recommend checking out Restream. Do make sure that you check the platform content policies for the sites you plan to stream pre-recorded video to so that you do not breach their terms and good practice is to disclose this is a pre-recorded video and be present to respond to comments in real time – after all people will be anticipating that a live stream is live! 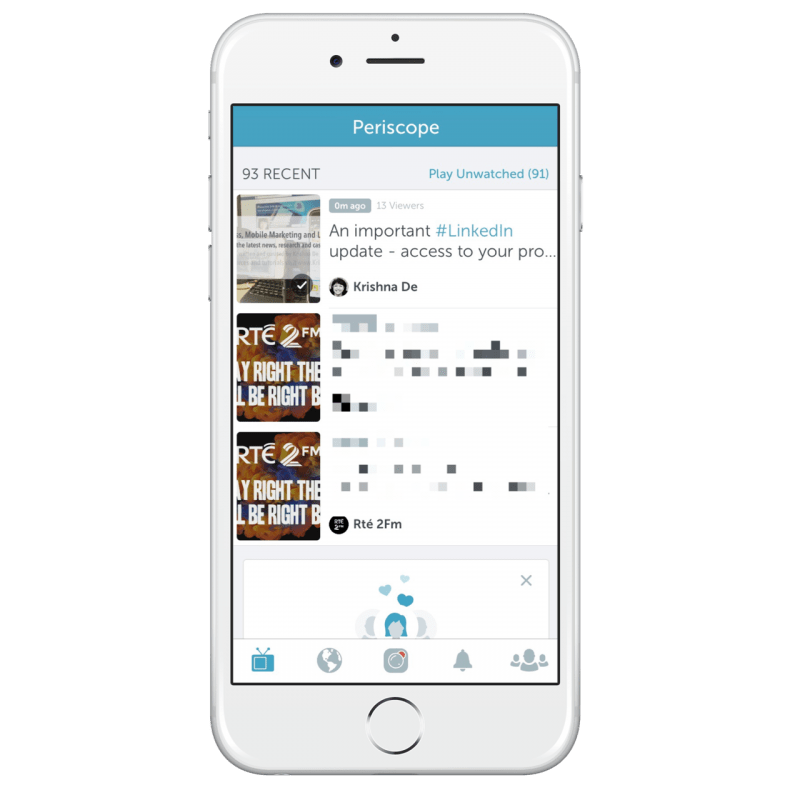 If you are not familiar with live streaming to Periscope, here are a few things to be aware of and that you need to check BEFORE you start your live stream of recorded video using Restream Scheduler. If you want your live stream on Periscope to also simultaneously be announced and streamed on Twitter, make sure you enable the feature within Periscope. If you want to test your live stream, restrict the live stream on Periscope and change the setting from public to a specific account or group. 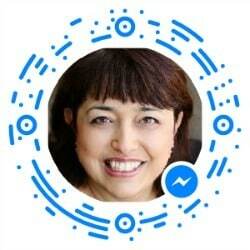 You can also choose to restrict the public chat. 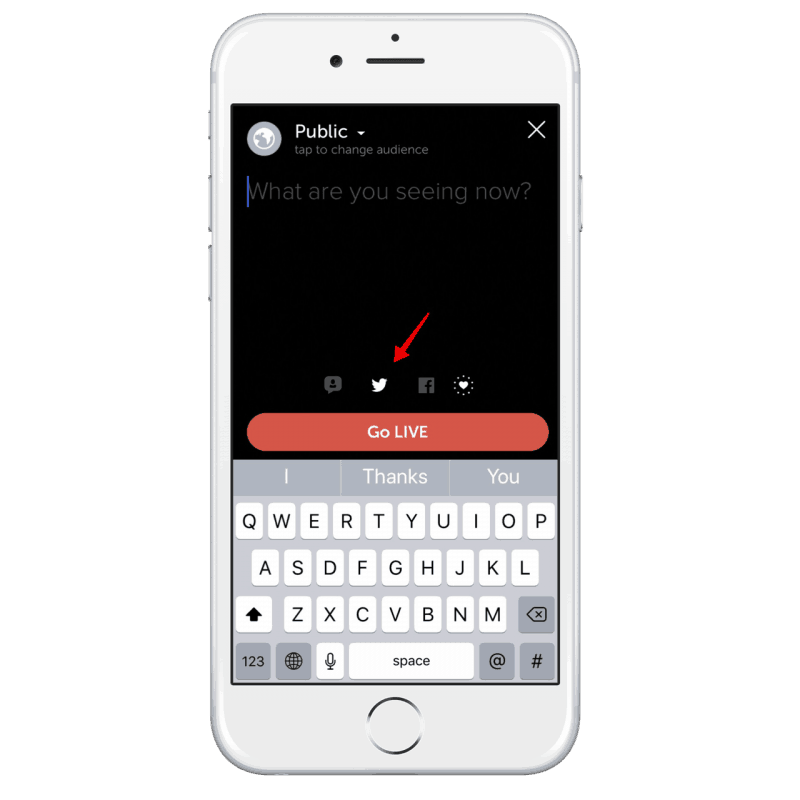 Once the scheduled event is live you will be able to see it in the Periscope app. When you enter the app you will see the option to be able to leave comments. 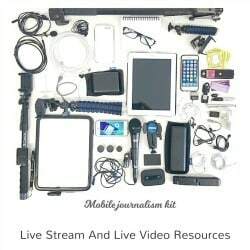 > Read my extensive collection of tutorials about live streaming here. 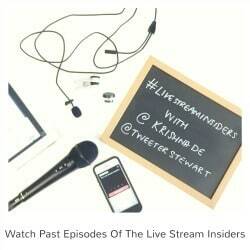 > Watch my weekly Live Stream Insiders Show where I cover live stream technologies, news and case studies every week – find the replays on YouTube where you can subscribe to get notifications when they are available alongside the resources for each episode (remember to click the little bell if you want notifications not only on YouTube but also sent to your email) or watch live on Facebook Live every Sunday at 7pm (2pm ET). 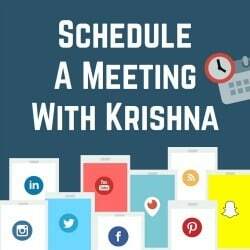 > Schedule a free consultation with me to explore your live stream questions. 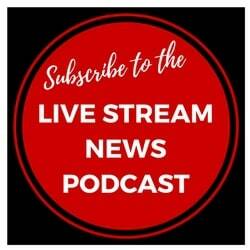 Make sure you subscribe to this blog as I have other articles planned about streaming and scheduling pre-recorded video to your live stream platforms.